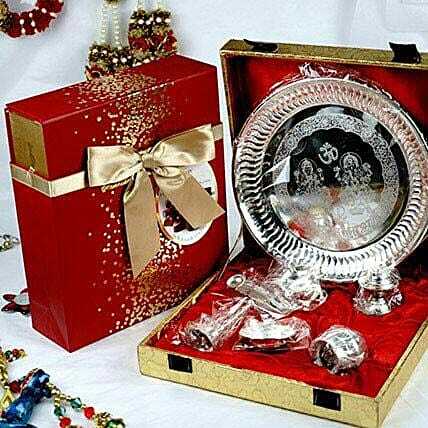 Make the prayer ceremony more traditional with this silver-plated puja thali. And the yummy chocolates will add a twist to the festival celebration. Buy this gift combo online for yourself or to gift to your loved ones.